Ahh, Provence… that magical place in the south of France. It fills our minds with images of lazy, sunny days sitting in the central square of a quaint village, just drinking in the ambience. While that’s all very pleasant, you can add an extra layer of enjoyment to your Provençal experience by discovering the stories and histories that shaped this area and its people. Why do those noisy cicadas sing so loudly? How did Martha deal with the dreadful local dragon? What did Nostradamus predict in Provence? In the Provençal Christmas story, why is Bethlehem in France? How did Buffalo Bill have a lasting effect on the region? What better way to really understand a region than by learning its history and listening to its stories? 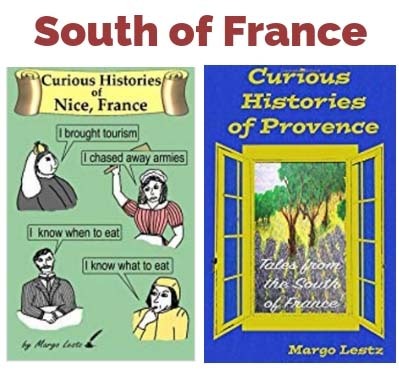 In this book, I’ll share with you some of the intriguing tales that I’ve discovered about that magical place known as Provence. 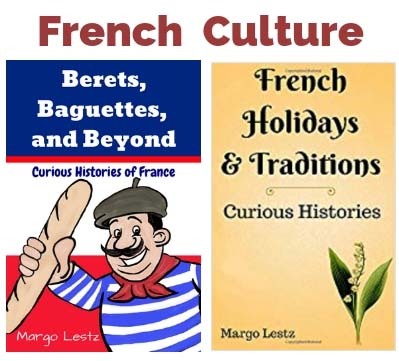 From cicadas to dragons, and Nostradamus to Buffalo Bill, this book is filled with informative and entertaining stories about the south of France. I hope you’ll enjoy perusing them as much as I’ve enjoyed finding them and writing about them. I wish Margo had been my history teacher! Whenever I read Margo’s work I wish (a) I could teleport to France and (b) that she’d been my history teacher! The entertaining writing style and fun facts are a winning combination. Love this, full of quirky and fascinating facts and anecdotes that make you smile and go “wow, I never knew that!”. The author has clearly researched a huge amount and she pulls it all together in a really fun and interesting way… great read. You’ll want to head to France to explore Provence! 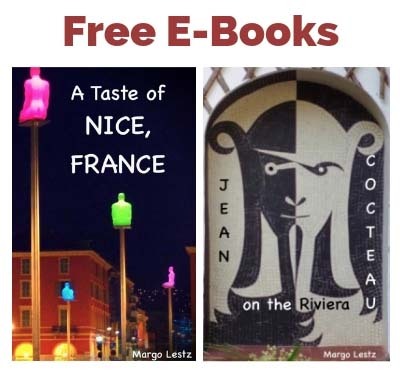 Margo Lestz is American by birth but now divides her time between London, England and Nice, France (with a sprinkling of other places thrown in for good measure). Life in a foreign country is never dull and every day is a new learning experience.